The CSIR draws on cross-cutting technologies and business model innovation to strengthen the agricultural industry and associated agroprocessing value chains. Working in partnership with the public and private sector, the organisation applies these as catalysts to enhance rural development and inclusive economic development. 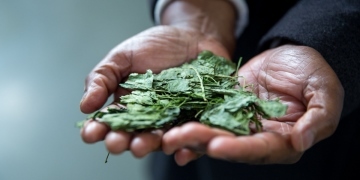 The agroprocessing platform relies on innovative technologies that enable manufacturing using digitised and greener production processes as well as advanced packaging solutions to reduce post-harvest losses. In addition, the CSIR provides tools for food safety testing to meet international regulatory requirements. 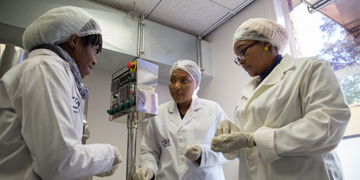 The Biomanufacturing Industry Development Centre provides technology incubation to entrepreneurs, small, medium and micro enterprises, academia and industry in need of assistance with transforming raw materials from the agricultural sector into final products. 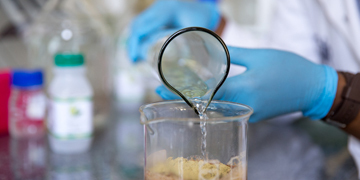 Similarly, the Biorefinery Industry Development Facility supports the development of high-value products from biomass waste. The indigenous crop platform supports the valorisation of South Africa’s indigenous biodiversity with a strong focus on rural development. 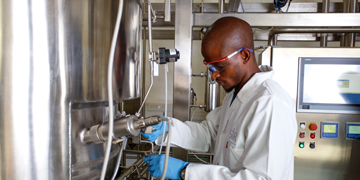 The CSIR has strong capabilities in process and product development as well as business innovation support. The National Biodiversity Economy Strategy provides important guidance to activities in this platform, with support from public sector entities. The precision agriculture platform leverages capabilities in big data analytics, earth observation, Internet of Things and climate modelling to implement predictive tools that support precision agriculture. The CSIR’s multidisciplinary expertise can be leveraged to develop and validate precision agriculture tools for enhanced agricultural production and land-use planning purposes.